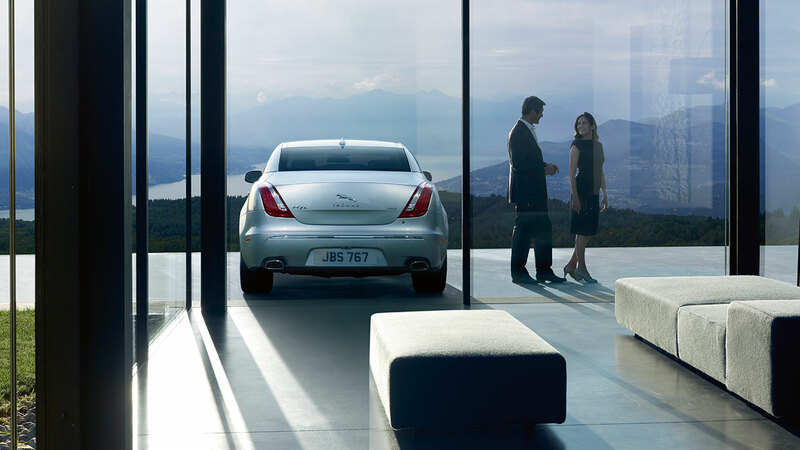 With each passing year the Jaguar XJ becomes less relevant. Why has the world fallen out of love with Jaguar’s big saloon? Driven To Write investigates. In 2009, the world’s least influential Jaguar commentator drew comparison between the newly announced (X351-series) XJ and its distant forebear, the 1961 Mark Ten saloon. The nub of my argument was that the new model should not be judged against any prior XJ series, but instead through the prism of its unloved sixties progenitor. Some five years on, it pains me to conclude the current XJ is cleaving to the Mark Ten template even more faithfully than anticipated, easily as disheartening a commercial failure as Jaguar’s former flagship. It’s worth pointing out however that as a model line, the XJ has been in consistent global sales decline since the turn of the millennium. In fact, the XJ’s glory days date back to the XJ40 era. Tracking the sales data, there have been temporary uplifts coinciding with new model introductions, but the overall trend has been downwards, culminating last year in combined US and European sales of a paltry 6234* units. According to Autocar‘s Hilton Holloway, about 20,000 new XJ’s found homes in 2014, the bulk of them in China. How is it that Jaguar’s former best-seller could have suffered such a sales reversal? Well for a start, it’s too big. Since its inception, the XJ has consistently grown, now measuring 5127 mm in length, (5252 mm in long wheelbase form), an impractical size for European streets. In fact, every time the XJ has expanded, it has sold in smaller numbers, the current model being the slowest-selling series ever. The original model measured a compact 4813 mm, less even than the current XF, a model which has essentially taken over its mantle. The XJ also suffers from something of an identity crisis. 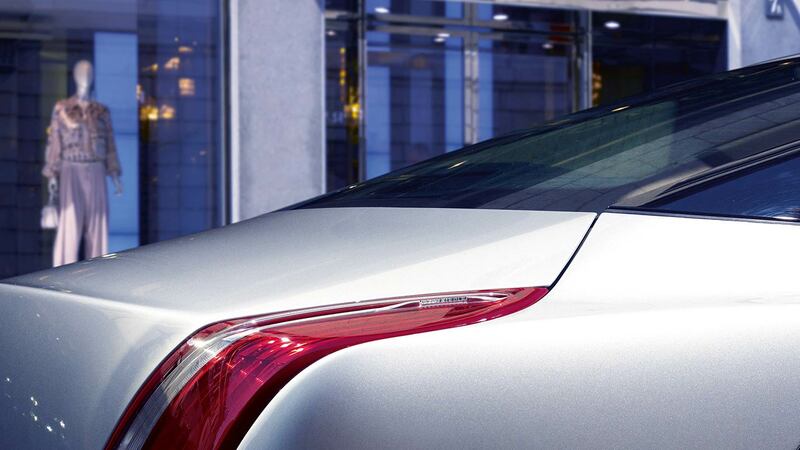 Widely viewed as the drivers car in the segment, it presupposes a plutocratic interest in driving dynamics. Jaguar felt the need to reaffirm their sporting credentials, yet spiritually, the XJ was always as much about quietness, refinement, sublime isolation and ride comfort as it was about dynamism. Furthermore, what’s left of a shrinking market dominated by the hegemony of the Mercedes S-Class is now hotly contested by Porsche, BMW, Audi and Lexus. All of whom offer highly competitive rivals. If Jaguar is offering something different, it either isn’t different enough or it’s not the kind of different the market wants. Obviously we cannot ignore the subject of appearance either. The current XJ is a car even it’s most ardent adherents will concede doesn’t entirely hang together from every angle. Overall, it’s an imposing, dramatic and confident shape, conveying an elegance and visual daring its rivals conclusively lack. It also hasn’t aged a jot in five years. Nevertheless, those who dislike its appearance absolutely loathe it. Half way through its career, it’s increasingly difficult to ignore the suggestion that this factor has harmed it in perhaps the most conservative market sector of all. The XJ will receive a minor facelift later this year, giving it about another three to four years in the marketplace. Its likely replacement is likely to cleave to the current model’s overall dimensions and positioning – the word from Jaguar suggesting it will be another statement design, signalling the next phase of their visual evolution. All very well, but addressing the styling alone ignores other, equally pressing issues. If the Mark Ten taught Jaguar anything, it’s the market for a Jaguar limousine simply doesn’t exist. A lesson Browns Lane took to heart with early versions of the XJ series, which were nimbler, more compact vehicles. Which does beg the question, is the XJ in its current form a moribund concept? Because if you’re a VW, a loss-leading flagship can be justified in credibility terms with costs written off. Can a more fiscally straightened JLR justify doing likewise, especially given the Range Rover’s increasing reach and desirability? Jaguar learned a tough lesson in the sixties. It’s clear they need to relearn the lessons of history. I’m one who likes the current XJ. Yes, there are flaws, but I think it looks generally very fine, especially the fact that it’s not overladen with chrome. In fact it’s my favourite big car – but only as a passive viewer. As a driver’s car, it’s not a vehicle I’d enjoy driving in London. The length is certainly an issue although, in standard form, it’s only 3.2 cm longer than its scorned X350 predecessor, which was 15.2 com longer than the 1986 XJ40. But the X350 I’d happily drive in London (unless I knew that Eoin might spot me) since it had good all-round visibility. As a car to be driven in, it’s not a vehicle I think I’d enjoy sitting in the back of. The styling doesn’t suggest that the rear passenger is given full-consideration in terms of view and headroom. You might be able to bully your kids into the claustrophobic rear of your Alfa hatchback, but it’s harder to get (self) important CEOs to bend their heads. I always liked the Mark Ten too. Isn’t width that makes the car tricky? And maybe height. The predecessors didn’t look bulky. The sliver of chrome hanging between the sideglass and black C-pillar is inept. They did that to conceal a split line on the c-pillar. It screams workaround. It’s a matter of perception. Figures seem to show that a standard 2013 S Class is 3mm longer and 5 mm wider than the standard XJ, and that doesn’t seem to hinder Mercedes sales. The XJ is, also, apparently and surprisingly, 71 cm narrower than an Evoque. But I’d speculate that, at 35mm lower than the S Class, the XJ’s extremities are harder to judge than either of these cars, though I’d not enjoy reversing an Evoque either. But in the end, deviating from the German Big Three hegemony probably involves a degree of thought and adventurousness that the average buyer of these cars is either too busy or too conservative to bother making. So Jaguar is likely on a loser whatever they do. The article hits the nail on the head several times: the XJ is too big and too divisively styled. The car’s two USPs at launch, a class-leading interior and driveability, have either been usurped by rivals or are irrelevant to the segment. I would also argue that, for its size and intended market, the XJ is not expensive enough. Nowadays the gravity for a plutocratic wafter pulls closer to £100k than £60k, although again I would question whether the market for a £100k Jag exists. The XJ is nowhere near its forebears in size or intent. Indeed, the 1960s original was a snug beast, long and low, closer to a four door E-Type than the contemporaneous Mark X leviathan. Considering the forever dwindling sales, one wonders why Jaguar persists or indeed can persist with the model in its current form. Good article, by the way. Isn´t it amazing that there aren´t more takers for this car despite its faults. If one ever thought that sales were distributed by “proportional representation” then cars like this show this is wrong. In car sales it´s first past the post. The debate here somewhat reinforces the points made elsewhere about the new XF and XE -deliberately “safe” and “more mature” evolutions of a proven and liked well-enough theme from the initial XF. The “saloon” market taste is for smart, handsome, conservatively styled cars. For every enthusiast that admires the courage behind a more “interesting” design like the XJ, there are hundreds more who will be repelled. For Jaguar, I think the effect is magnified in the current market – it’s a less well established, truly premium brand that prospects already think is a little to brash, and bold design just accentuates the sense that the cars are too vulgar. Hopefully tastes will move on to embrace the more progressive, probably once it has become OK again to display one’s wealth (i.e. post “Austerity” – although if the UK/ US and most of Europe thinks that this is Austerity, it’s truly forgotten the fiarly recent past). TWBCM showed pictures of a disguised, incoming, “all-new” 7 Series recently and it would have been more invisible without the disguise, so unnoticeable are the changes – but that’s how the market wants its luxo-barges right now. In South Africa there existed a 125% import duty during Apartheid which made Jaguars and Daimlers vastly more expensive than Mercs or BMWs, which were locally produced. As a result they were perceived to be better and grander providing its owners with a product between the top of the line S Class and a Rolls Royce Silver Spirit. The message is that a beautifully styled Jaguar with a magic carpet ride, a powerful, silky smooth engine and a Bentley grade interior will find buyers. The XJ hasn’t been hampered by image limitations but by questionable styling and offensive interiors that didn’t have the feel good factor of a budget Bentley. If you compare the interior of the eighties S Class with that of especially the Daimler XJ40 you wonder why any Mercs were sold at all. This was also true of the seventies versions of these cars. But current Jaguars do not have better interiors than the German cars who’s designers have adopted the warm and clubby luxury formerly only found in English products. A point driven home by the fact that buyers in Germany loved the Series 3 XJ12 right until the end of production in 1992. It was gorgeous to look at, had a royal interior and drove like nothing else on the planet. Jaguars should always be a heart over mind purchase even if they deserve consideration based on merit as well. Modern Jags can compete with their rivals on every point except desirability which is the ironic because it’s desirability that kept the company alive during the dark BL era, proving that in the car industry, design is everything. Back when an old guy with a hat and no formal training designed them they couldn’t build them fast enough, now I fear that the pointy shoe brigade who can’t resist the temptation to make everything neon is disappointing the thousands of buyers who dream more of an as-new Daimler Double six than a new XJ. Welcome to DTW and thanks for that comment. The bit that makes you think is precisely the paradox that formally trained designers produce now interiors that lack charm; not all the German professionals produced unappealing work in the 70s cars but that charm was not assured. Could it be that the English chaps with hats were craftsmen turned designers and they worked without so much reference to international norms as did BMW and Mercedes?